I love my South Salt Lake neighborhood. It’s vibrant, diverse, and walkable. Beautifully maintained public spaces abound. 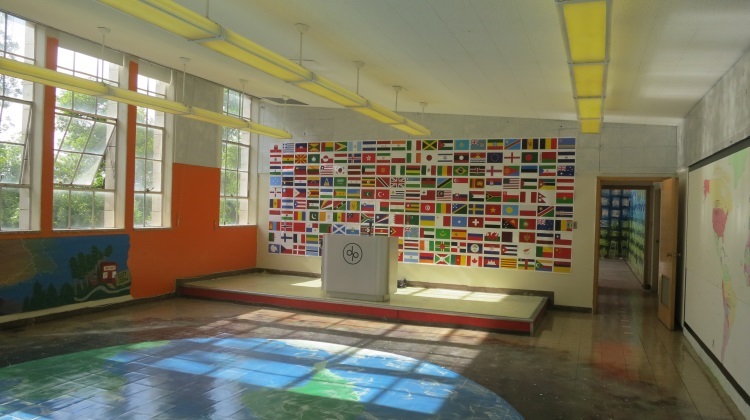 Then there’s the big empty high school. Granite High opened to students in 1906, and closed their doors at the end of the 2009 school year. 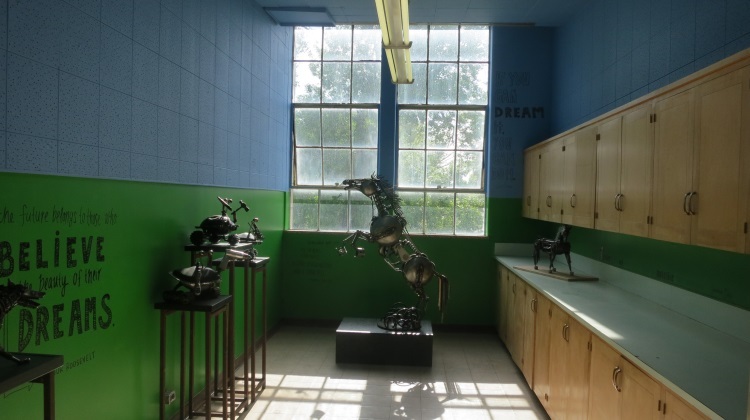 While plans for the space have come and gone more than once since the school’s closure, it remains looming and empty. 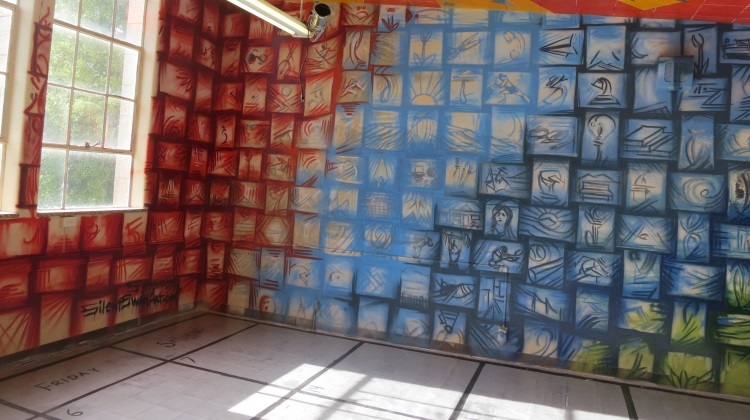 Living nearby, I often allow my mind to wander to the possibilities the space holds. I’m not above daydreaming of a multi-story gelateria/World’s biggest Sephora combo while passing on an afternoon stroll. “I wish I could have a look around inside.” crosses my mind just about every time I drive down 3300 South. 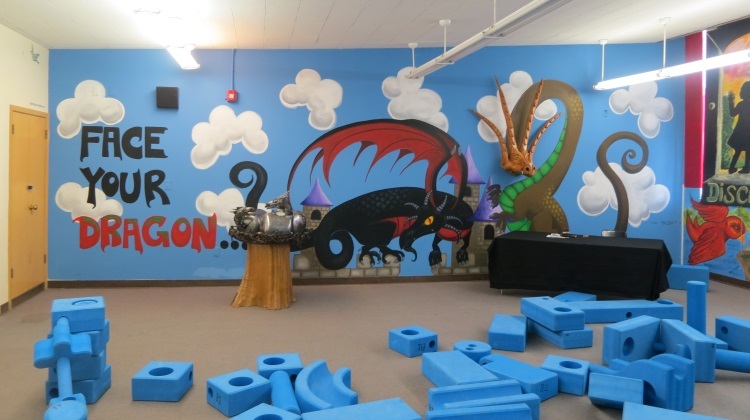 On Monday evening, I had my chance when I attended the opening hours of Dreamathon. 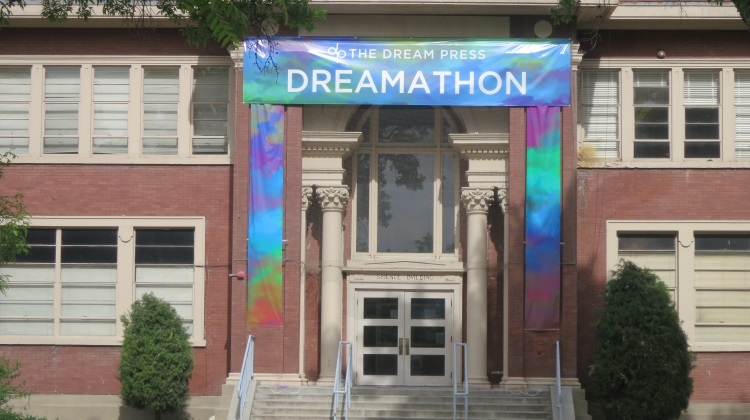 Dreamathon, an interactive art exhibit event hosted by The Dream Press, beautifully and magically transforms the building from May 19 to 24th. 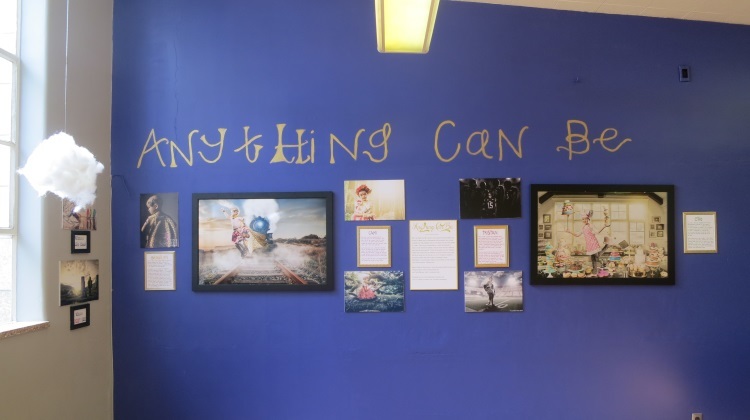 The Dream Press, a crowd-sourced publishing house specializing in inspirational stories and picture books, describe themselves as a “community of storytellers, readers, and dreamers”. 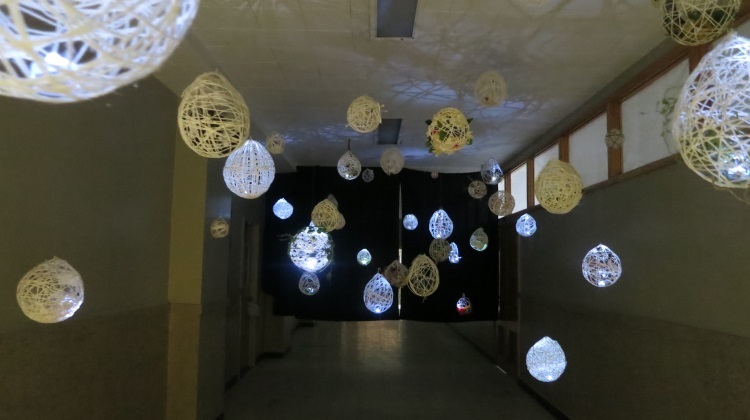 The experience of perusing Granite’s hallways and classrooms to find them full of inspirational works from 25 artists, seven muralists, 10 industrial designers, and 30 photographers did indeed prove somewhat dreamlike. 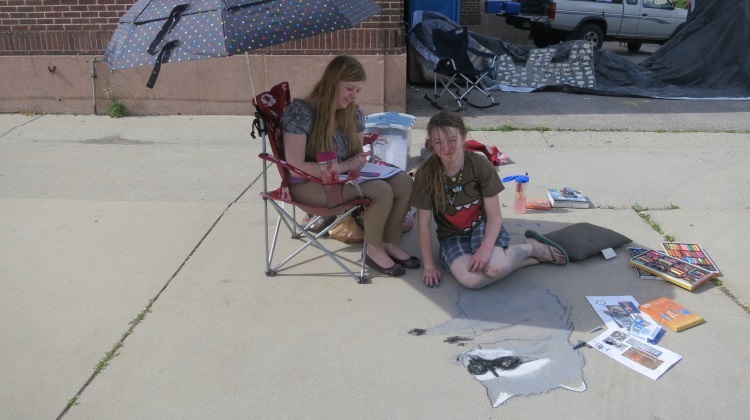 As I approached the building from the south parking lot, I encountered young artist, Katie Day perfectly capturing the personality of a sassy raccoon in her sidewalk chalk drawing. 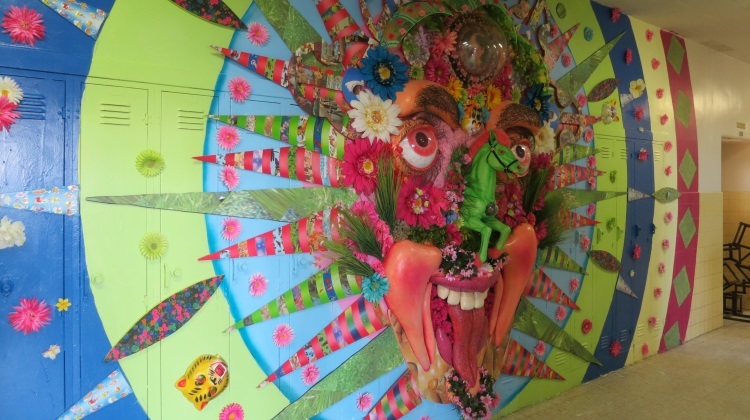 The west-side entrance to the exhibit featured more sidewalk art welcoming visitors. 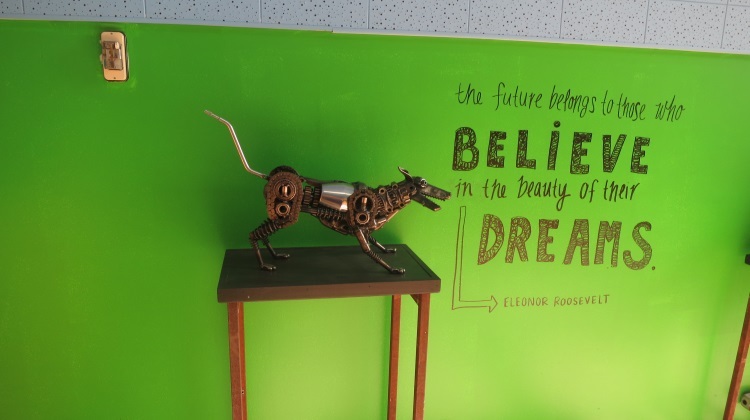 The classrooms have been transformed into themed rooms, each featuring motivational quotes and works related to following ones’ dreams and aspirations. 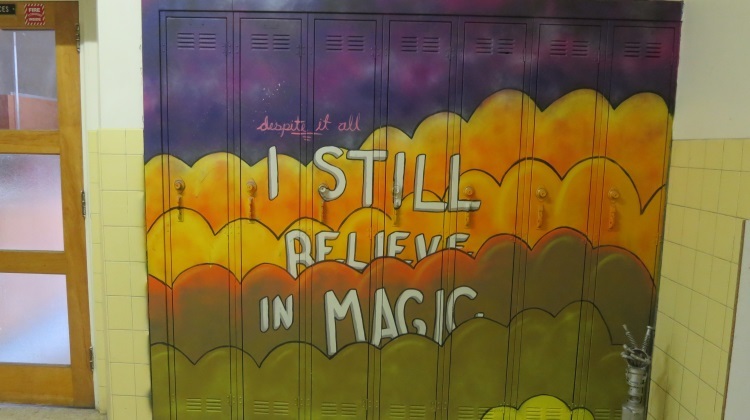 The once-empty hallways in particular prove an effectively moving backdrop to much of the artwork, with several pieces using the lockers themselves as canvas. 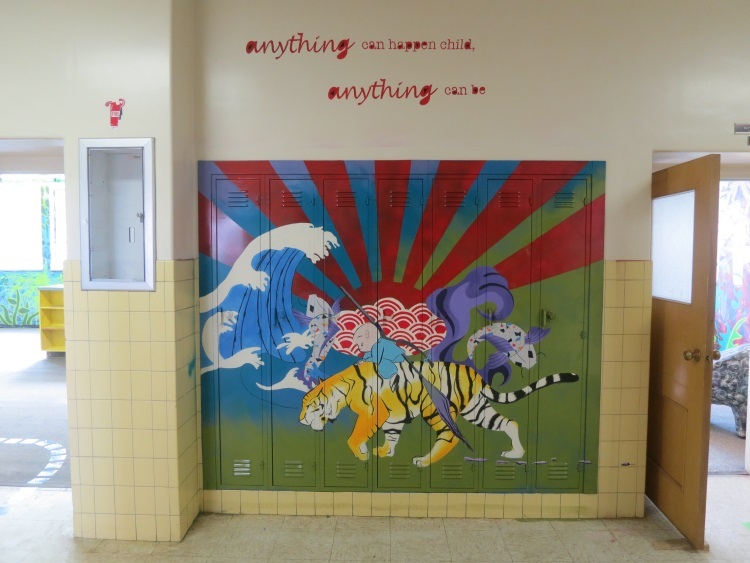 Students past and present will recall orders to keep their lockers pristine as they now see them being utilized in such joyful self expression. The details of the works require at least an hour to see, but I’d suggest allowing yourself ample time to explore (see end of post for even more art). As I left Dreamathon pondering the incredible transformation it brought to it’s temporary home, I once again encountered Katie, her hardworking artist’s legs now covered in chalk. 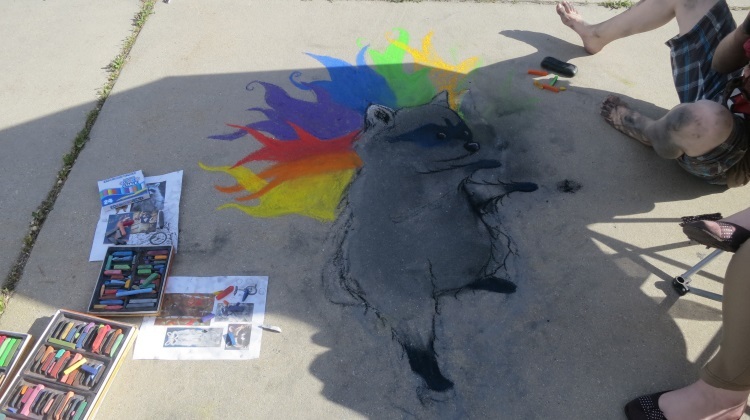 Her beautifully-rendered raccoon now sported a design of rainbow-hued “flames” shooting from behind his sassy back. “He’s going to be riding a unicycle.” Katie informed me, proving the imagination of a young artist knows no bounds. 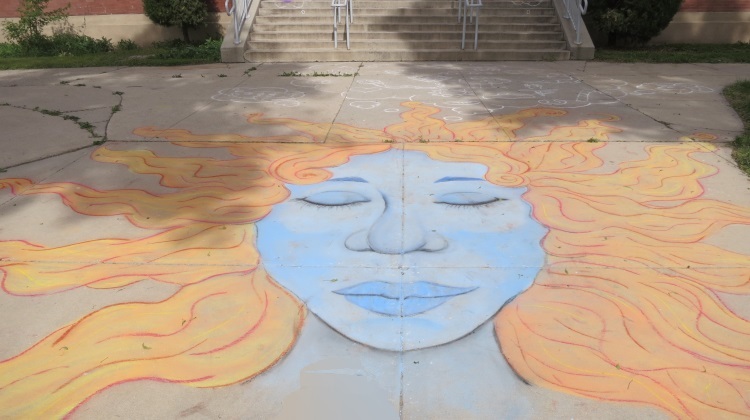 Artist Katie Day’s sidewalk chalk art. The five-day event runs Monday through Friday with evening hours for the general public and all day Saturday. 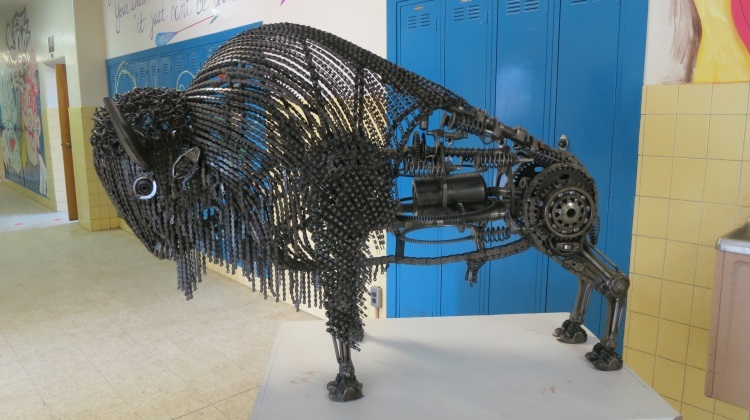 Evening events include speakers, musicians, food trucks, and other special guests. The hours and events listing can be found on The Dream Press website at www.thedreampress.com/dreamathon.